Join me this Friday at 9PM as I welcome Frandley Julien of the new Haitian daily Le National which can be found online at www.lenational.org. We'll discuss the paper's genesis and circulation, its reception in the Haitian community, its decision to maintain a print edition and of course the latest in the Haitian politics it covers. 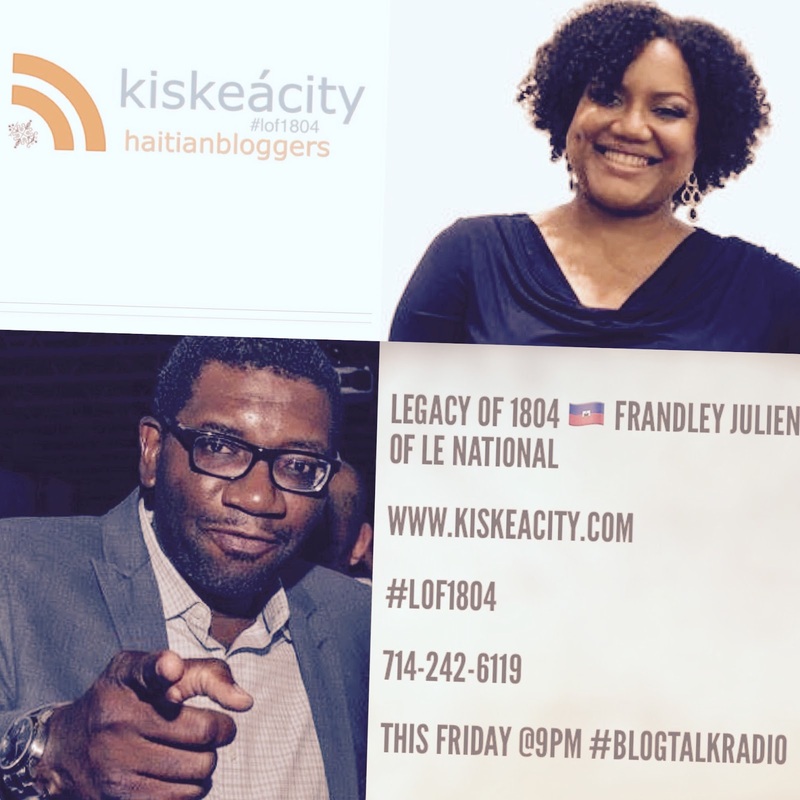 The show will stream live here or you can listen at http://www.blogtalkradio.com/pancaribbean/2017/01/14/legacy-of-1804-frandley-julien-of-daily-le-national or on the phone at 714-242-6119.